So the holiday season has come and gone and it is a brand new year. With every New Year comes a chance to start all over again, leave the baggage of yesteryear behind, and look to the future with hope and a determination to clean up your life. At Niagara on the Lake Realty, we know that January is a perfect time to take a look at your life and work towards downsizing. De-cluttering your home and work space not only makes room for all those new things you got at Christmas, it helps you to break down and simplify your habits. More and more people are working from home these days and it is far easier to work in a Spartan workspace than a cluttered one. When you approach that home office cleanup, start with the desk and work outward. Take everything out of every drawer and arrange it all in piles. Then go through each pile and remove the things you do not need. For example, do you really need that office suite software from 1996? The chances are you probably will never use it again. Before you put everything back in, dust and wipe down the desk. Then make sure each item you are keeping has its own spot. Design an organizational system so everything you might need is right within reach. Do the same thing with each shelf and filing cabinet in your office space. Clean it off, go through the mess and remove everything you do not need. That textbook from when you were in college back in 1996 is probably outdated, anyway. Wipe down the shelves and replace your must-haves in a neat and organized fashion. Get a portable hard drive with a few terabytes of storage and back up all your files. Then go through your computer with an iron fist and wipe it clean. Any file that you have not accessed in six months is fine on the backup. Clean every icon off of your desktop that you can. Treat your computer like a physical filing system. Be organized and efficient. Attack each room in your house in the same way as you did your office. Go through with a basket and pitch anything you really do not need. Start with the floor—anything on the floor needs to come off. Then move to your shelves, tables, and flat surfaces. 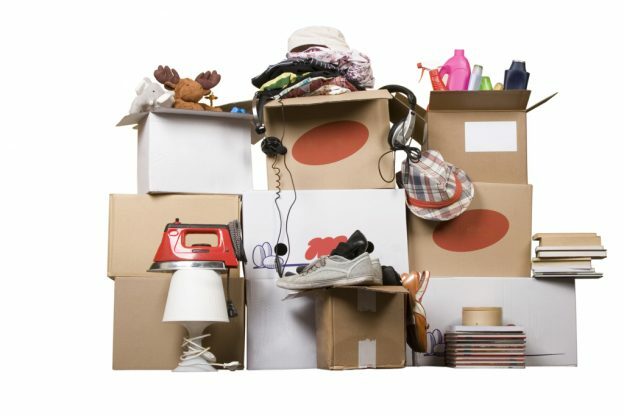 Consider holding a yard or garage sale to clear out that extra clutter. After you finish the floor and shelves, hit your closets and drawers the same way. Be brutally honest with yourself and separate sentimental value from need and usefulness. It might be painful at the outset, but you will thank yourself later. Streamlining your home and office life can be a great way to start the New Year. Do you have any ideas or advice about de-cluttering your work and home? Leave a comment and let us know! This entry was posted in Blog, Uncategorized and tagged Niagara on the Lake, Niagara on the Lake Realty, NOTL Realty, Real Estate on January 22, 2015 by wp_admin.